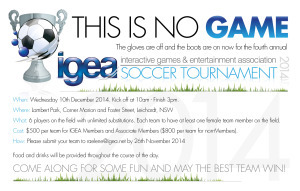 We have a new date for the 2014 IGEA Soccer Tournament – Wed 10 December. 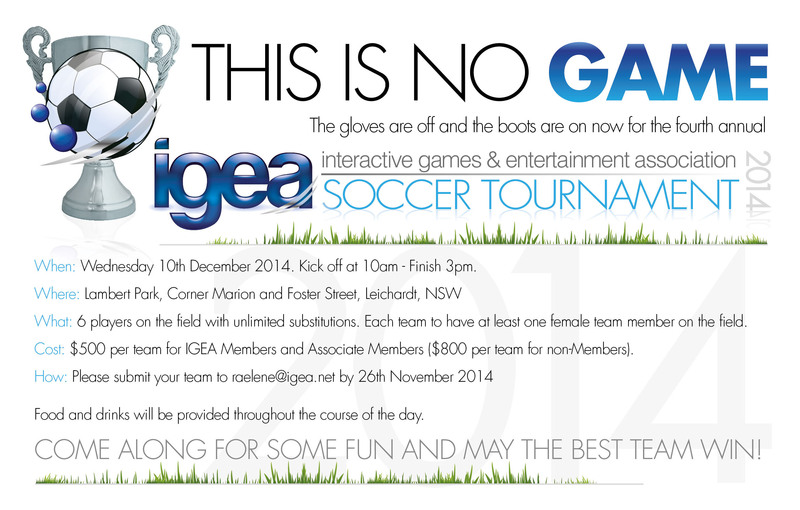 Submit your teams to raelene@igea.net. Look forward to seeing you all there.